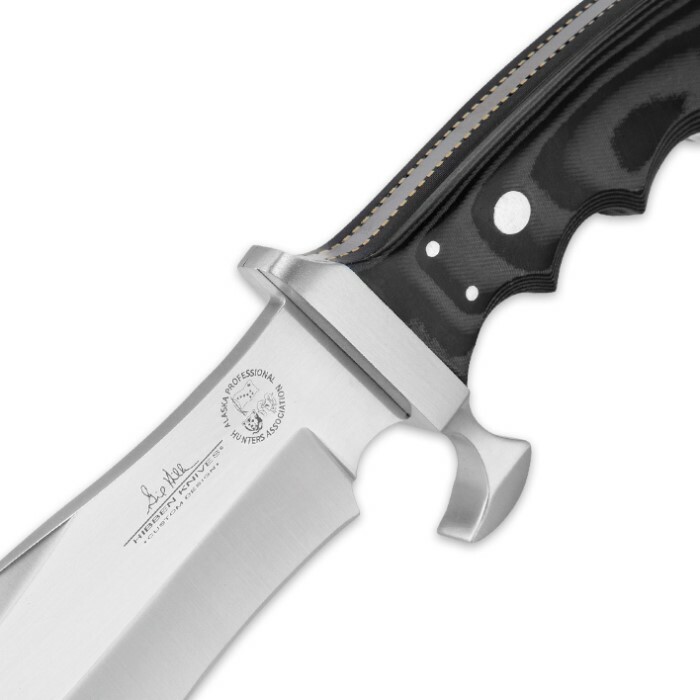 Designed by the pro himself, this Gil Hibben Alaskan Survival Knife is endorsed by the Alaka Professional Hunters Association. This survival knife features a 6.875 in 420 J2 stainless steel blade with a custom laser etching. Wooden handle scales encase the tang of the blade and feature ergonomically contoured finger notches for a supreme grip. A custom leather sheath is included. I just got this and I am so impressed with this knife. The craftsmanship just shines from design to finish. They took the time to insure every detail was finished. Extremely sharp out of the box. This knife fits my hand perfectly.. It is super comfortable to work with. This is a complete knife. You can do large work and detail all with one knife. That Knife definitely does feel like it belongs in your hand because of the curvature and how I can hold it and then open my hand and spread my fingers allowing my index and pinky finger(s) to latch on and hold the knife comfortably in my hand and it is quite a chopper with all that heftiness on it, it is a well built Knife!!! A great knife all around. Mine arrived in superb condition, razor sharp and needed no real issues addressed. It is HUGE on your belt. HUGE. I must say I love it. May not use it for everyday carry, but then again maybe I will, it's a beast! Very pleased with this one. I bought this blade some time ago and I was happy right away. I'm not one to buy a knife for display (that's what coins are for) but to use, and I've put this to some use with confidence. For the price, it's not supposed to be a Bugatti, but meant to get dirty and used. I've developed some snobbiness in that I'm not a fan of leather sheaths, but that's just being picky. If I had to, I could find a more suitable one or get it made. But this is a hefty and tough knife, and nice for the price. The knife itself is pretty to look at, but I would not put my life in its hands. 420 should not be a viable option when choosing a survival blade. Only exception for me is the Gerber strongarm. This blade is heavy and just not meant to be a true survival blade. I'm pretty sure Dave Canterbury would laugh if you gave it to him to use on a survival trip, but I'm sure he could make it work. I don't trust this blade and won't pack it for a trip. If you want a true survival knife go get a bk2/7/9 or a TOPS even look at esee or condor. If you want to hang this on your wall go for it, but don't pack it. My wife and I have one. This is a solid knife. One of my absolute favorite. 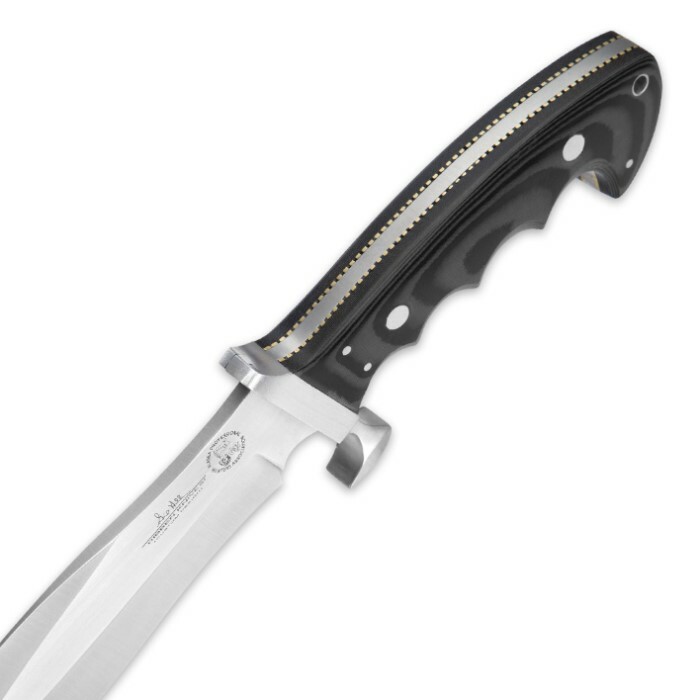 Just got my Hibben Alaska Survival Knife what a great knife. This knife is built to last, great job in manufacturing, and a beautiful finished product. I am an avid outdoors man and will be putting this knife through it's pace's. 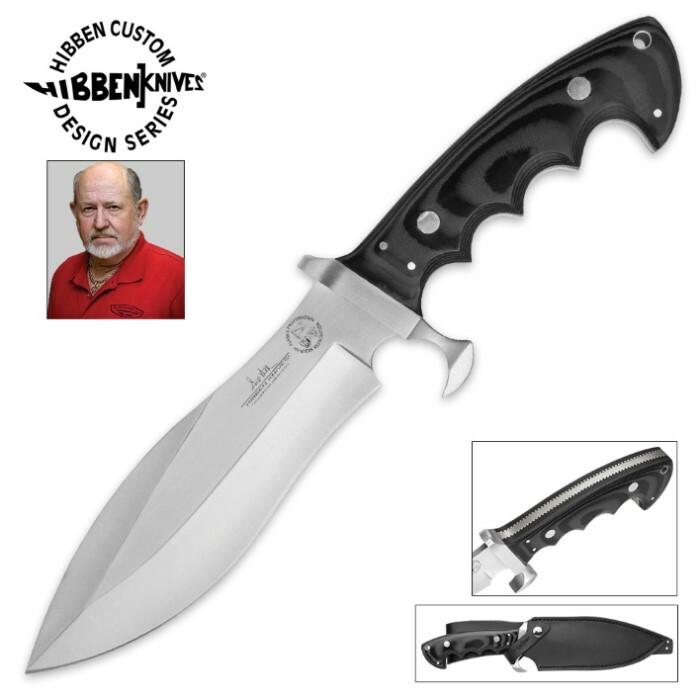 Looking forward to my next Gil Hibben purchase. Thanks BudK! This knifeGreat knife my first knife for hunting bear and last of all. I take it with me on my outdoor usr.,also dedicate the knife to riverbabe and I in our relationship .